Packaging Rolls manufactured, supplied and traded by our organization has reached the zenith of their demand owing to their impeccability. These rolls are used for packaging eatables and other items. Likewise, these packaging rolls are available large quantities with us to cater to the demands of the rising client base. PVC Rolls produced by our organization has gained huge popularity among our client base. As their name conveys, these rolls are manufactured from Poly vinyl chloride. These rolls have high tear strength and are flexible in nature. These rolls are highly rated by the experts and the clients. We have hired the quality controllers whose main task is to test these rolls on the well defined parameters before delivering these in the industry. We hold expertise in offering LDPE Shrink Film Rolls to the clients. 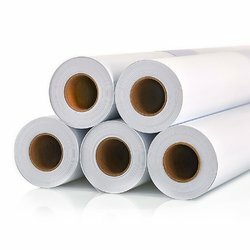 Possessing high tear strength, these shrink film rolls have additional properties such as transparency and flexibility. Mainly, these film rolls find application in packing beverages, goods and other items easily. These shrink film rolls are stringently tested for their quality by our quality controllers. 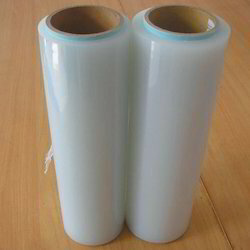 In addition to this, these shrink film rolls are available at feasible prices.